It’s a good idea but it’s not a new approach. 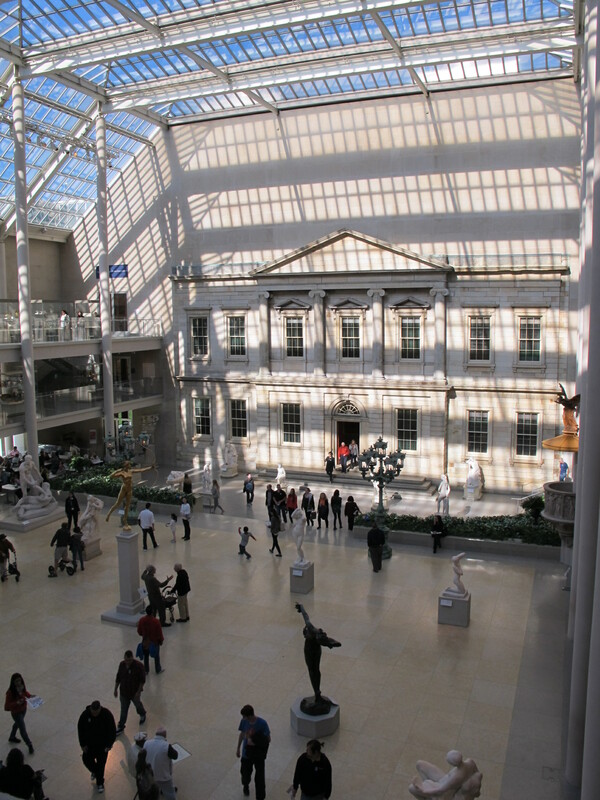 American Wing at the Met featuring the facade of the 1822 Branch Bank of the United States. Early in the twentieth century, museums of various types began collecting buildings. Henry Ford moved Edison’s laboratory and the Wright Brothers bicycle shop to his Greenfield Village, John D. Rockefeller quietly bought dozens of buildings to create Colonial Williamsburg, and the Metropolitan Museum of Art installed the facade of the Branch Bank of the United States as the featured object of its 1924 American Wing. Much later, landscapes were considered worthy of preservation and now most historic estates, such as Casa del Herrero, Miller House and Garden, and Marsh-Billings-Rockefeller National Historical Park, treat their gardens and landscapes with the same respect as the furniture and art works at their sites. This entry was posted in Collections, Governance and management, Historic preservation and tagged American Alliance of Museums, American Institute for the Conservation of Historic and Artistic Works, Association for Preservation Technology International, Collections management policy, Direct care, Edsel and Eleanor Ford House, FASB 116, Financial Accounting Standards Board, National Trust for Historic Preservation, New Orleans Charter, Scope of Collections on March 17, 2015 by Max van Balgooy.